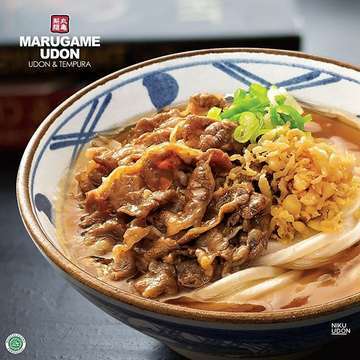 Marugame udon was originaly from Kobe, Japan and today it has over 800 stores spreaded in Japan, Rusia, USA, Australia, Hongkong, Thailand, Taiwan, Korea, China, Vietnam and Indonesia. 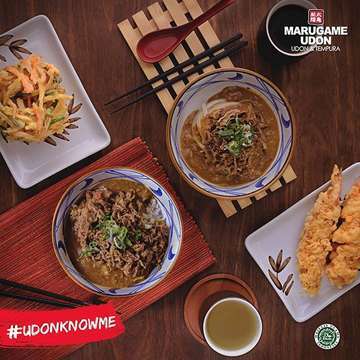 In Marugame Udon we serve authentic and unique Japanese food to Indonesia customer. We are thoroughly committed to the quality of our udon, soup and condiments. 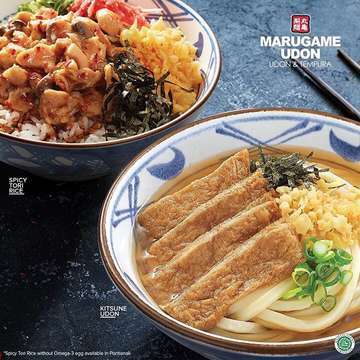 Our open kitchen will create the ambience where customer can get the feel of freshness, home made quality, and reassurance through watching our trained employee making, boil and prepare the udon in front of our customer.